COPD (chronic obstructive pulmonary disease) is a progressive disease that makes breathing harder to do. COPD is a broad term that covers multiple lung diseases, such as emphysema, chronic bronchitis, and asthma. These diseases can trigger coughing, which in turn causes an excess amount of mucus, wheezing, chest tightness and other similar symptoms. While cigarette smoke is a main cause of COPD, you do not need to smoke a day in your life to get COPD. Harmful pollutants in the air can also cause COPD, and constant exposure to those pollutants (smoke included) can worsen the effects of COPD. COPD can be triggered by pollutants in the air, these pollutants can temporarily worsen the effects of COPD. Minimizing these triggers means doing what you can to avoid the irritant or keeping your home clean to lower the amount of pollutants in your home. COPD patients tend to believe outdoor air can be worse than indoor air, but according to the Environmental Protection Agency there may be more indoor air pollutants versus outdoor air pollutants. This may mean your home is not as safe for you if you have COPD, as the air inside can cause a flare up as well as the air outside. Part of this may be due to a better sealing process for the home, helping with energy costs but locking in pollutants in the air. Many respiratory patients spend roughly 90% of their time indoors, as outside air was originally believed to cause more flare ups. 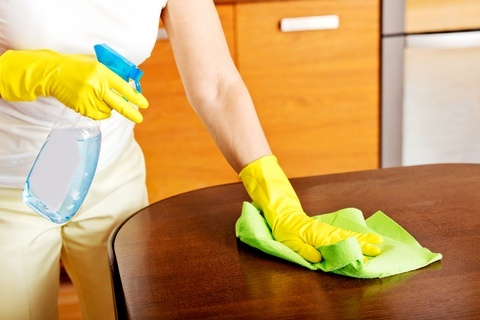 Pollutants, such as harsh fumes from cleaner, dust and pollen can still get inside and get into the carpets and upholstery. A safe and relatively easy way to prevent these pollutants from getting in your home is to invest in plants. Indoor plants are known to reduce harmful pollutants from the air by up to 87% in only 24 hours. Plants use the process if photosynthesis to take in carbon dioxide, and other pollutants in the air, and release clean oxygen. By absorbing the unhealthy gases and releasing clean gases, plants can help clean your air without paying for expensive machines to clean the air for you. NASA pulled together a list of plants they believe to help clean indoor air the most efficiently. English Ivy, Peace Lily, Flamingo Lily, Variegated Snake Plants, and Chrysanthemums are all great plants to remove many pollutants in the air, but are all toxic to pets if ingested. If you have animals in the home, keep the plants in places the pets will not reach. Bamboo Palm is the only plant that is non-toxic to pets. English Ivy: English Ivy needs to be in a shaded area with rich soil, watering enough to keep the soil moist. Its vines can grow up to 50 feet long, or more overtime. Peace Lily: These lilies need partial shade, but can survive off of no sun at all, they do need water, but not as much as you would think. Peace Lilies should be watered when they start to droop. Flamingo Lily: Flamingo Lilies are from the rain forest, so simulating a similar effect will help it grow. Keeping it in in a humid area and in a pot of moss-based soil will help it grow. Watering the lilies requires enough water to keep the soil moist, but do not let it get to wet and make sure it has a way to drain. Variegated Snake Plants: Snake Plants grow best in a pot that allows it to drain, or in a soilless potting mix, so that it does not get to moist. These plants can handle indirect sunlight, and only need to be watered when the soil dries, and you can water it even less in the winter. Chrysanthemums: These plans need regular water, being poured under their leaves to avoid any fungus to grow. Chrysanthemums do not like humidity and only bloom for 3-4 weeks total, remaining is their leaves, which are beautiful. Bamboo Palm: Only needing indirect or some filtered light, bamboo palm is a great indoor plant to keep. It also only needs to be moist, never overwatering as it can lead to root rot. All of the best plants for the air, are also pretty low maintenance to the homeowner. 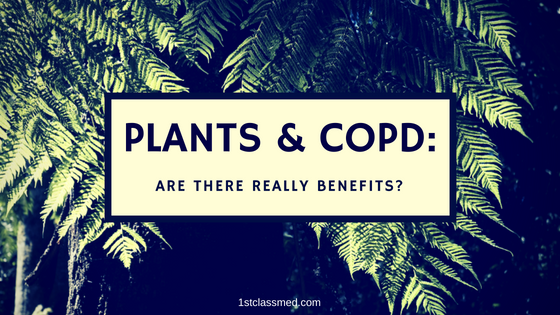 This makes it easier for those with COPD, and like respiratory diseases to maintain a plant without having to constantly care for it. Many of the plants we listed only require enough water to keep the soil moist and enough light throughout the day to keep it growing. If you do not have any pets, any of these plants are a good option to help clean your air, but if you do have pets, make sure you get non-toxic plants or keep them in places you are confident your pet cannot reach. We also recommend making sure you are well educated about the plant you decide to bring home. Speaking with a specialist or doing research online can help ensure you know how to care for the plant in your climate and region. If you aren’t careful, you can bring home a plant that you water too much and can produce mold, which in turn can have the opposite effect of the plants air cleaning purpose.